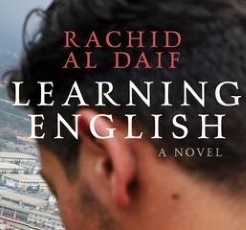 No matter how hard Rachid tries to recreate himself, to become educated and wordly – to ‘learn English’ – it is impossible for this hip Beiruti with his cell phone and high-speed internet to sever the connection to his past in the Lebanese village of Zgharta, know for its ‘tough guys’ and old-fashioned clan mentality. When the news of his father’s murder – a case of blood revenge – reaches him by chance through a newspaper report, it drags him inescapably back into the world of his past. Suddenly he is plunged once again into the endless questions that plagued his childhood. With a suspense-filled plot and a typically idiosyncratic narrator, whose bizarre stories, comical asides and uncannily perceptive comments on human nature lead us through this tantalizing, funny, and sober book about the hold the past has on Lebanon, and on us all.